Even the most durable carpet available is bound to show traffic patterns, wear and tear. In fact, most carpet will need to be replaced in 10-12 years. Regular maintenance helps you extend the life of your carpet for that decade and beyond. A few simple cleaning tips can make a big difference in how well your carpet stands up to the activity in your home. Every 2-3 days you should vacuum the carpet where traffic happens most often. If you have a heavy traffic area or it's the time of year when more dirt and debris are being tracked in, you may want to vacuum the heavy traffic lanes daily. The entire carpet should be vacuumed each week. 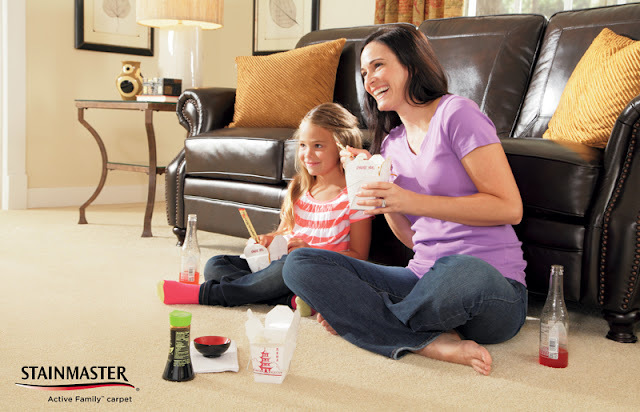 You should have your carpet professionally cleaned every year. In fact, some manufacturer's warranties require it! Don't rely on renting or buying a carpet cleaner. Professional cleaning gets down to where the dirt and soil resides and picks it up so that it can't damage the pile and dull the color of your carpet. Spills happen. And while many carpets are stain resistant, that doesn't mean you can ignore a spill. The best step you can take is to act quickly. The longer you wait, the more likely that spill will become a permanent stain. Learn more stain removal tips and vacuuming technique guidelines in our free Carpet Maintenance Guide.